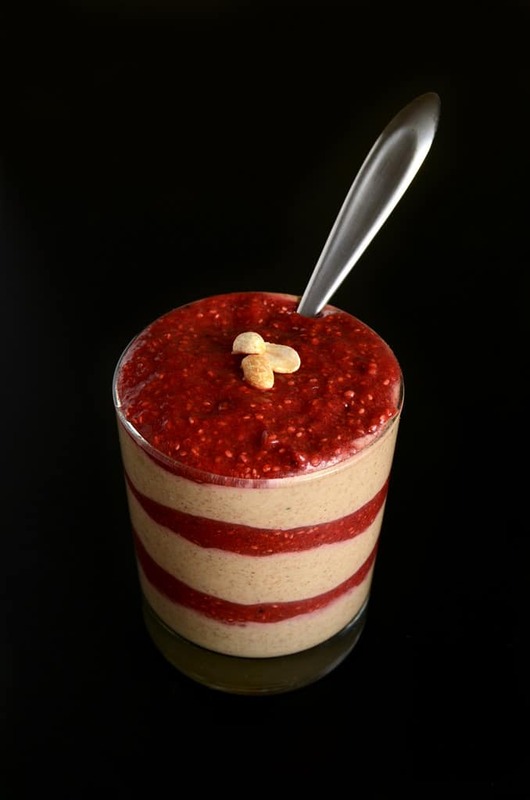 Chia jam and peanut buttery pudding are layered and topped in this vegan peanut butter & jelly chia pudding. PB + J pancakes, smoothies, and chia pudding! Oh my! It’s hard to resist that whole salty-sweet combination, isn’t it? And there are endless ways to reinterpret and modernize the classic pb + j sandwich. 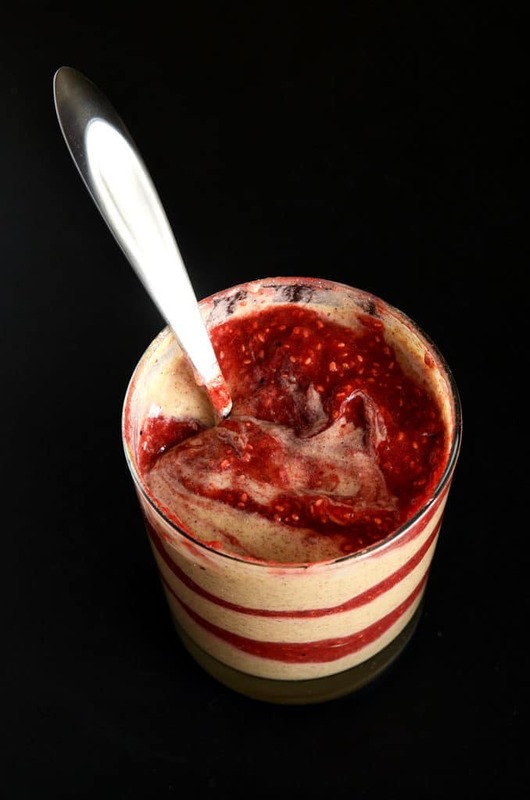 This particular variation infuses thick chia pudding with peanutty goodness and nestles it between rippled layers of raw strawberry chia jelly. The recipe calls for just 7 ingredients and only requires about 10-15 minutes of active kitchen time. As usual, the hardest part about making chia pudding is garnering the patience to endure a few hours of wait time as it thickens. And just as a watched pot never boils, a watched chia pudding never thickens. 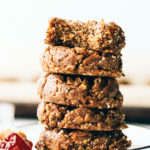 To make the peanut butter layer, you’ll add almond milk (or non-dairy milk of choice), chia seeds, peanut butter, vanilla extract, maple syrup, and medjool dates to a high-powered blender. Blend the mixture for 3-4 minutes or until smooth, and refrigerate for two hours (or longer) to let it thicken. 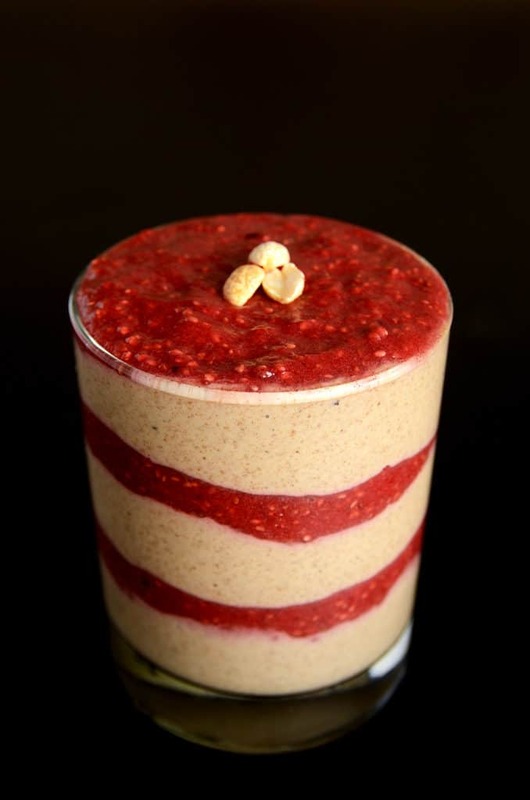 The raw strawberry chia jelly is a cinch to make. You’ll add fresh strawberries and medjool dates to a blender, blend until smooth, and stir in some chia seeds. Again, you’ll want to refrigerate for two hours (or longer) to thicken the mixture. 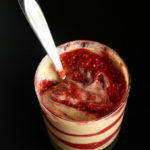 Then, you’ll layer the peanut butter pudding and strawberry jelly, one after the other, in four small glasses or jars. I like to garnish with a few raw peanuts, but feel free to skip this step. Also, if you want to make this nut-free or paleo, you can substitute sunflower seed butter and swap out the almond milk for a nut-free alternative. I love the way the rich, peanut butter layer is balanced by the subtly sweet + tart strawberry jelly layer. 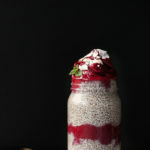 This chia pudding is a bit more decadent than some of the others I’ve shared, so I usually have it for dessert, but it could also make for the perfect energizing breakfast before an active day. Let’s be honest: it’s hard to put parameters around the enjoyment of a PB & J. PB & J does as it pleases. 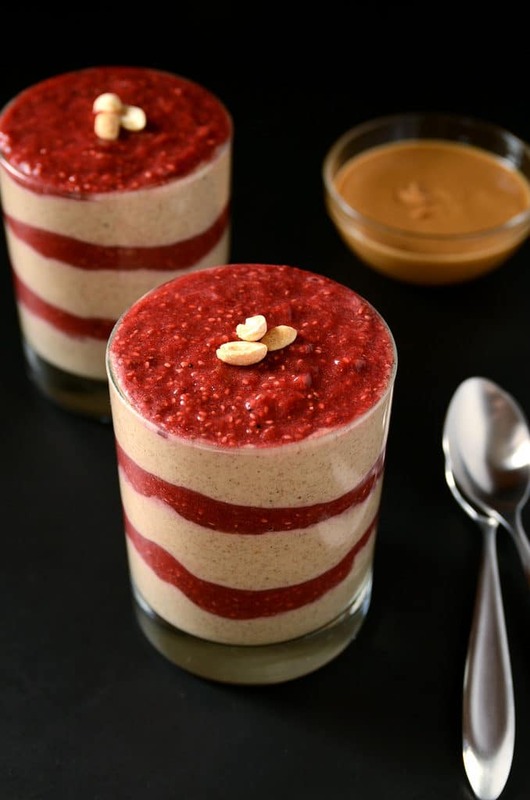 Strawberry chia jam and peanut butter pudding are layered one after the other in this vegan peanut butter & jelly chia pudding. 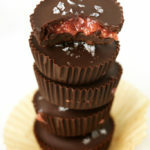 I love the way the rich, peanut butter layer is balanced by the subtly sweet + tart strawberry jelly layer. 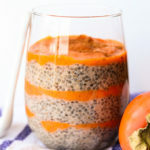 This chia pudding is a bit more decadent than some of the others I've shared, so I usually have it for dessert, but it could also make for the perfect energizing breakfast before an active day. Let's be honest: it's hard to put parameters around the enjoyment of a PB & J. PB & J does as it pleases. Add almond milk, chia seeds, peanut butter, vanilla extract, maple syrup, medjool dates, and sea salt to a high-powered blender. Blend on high for 3-4 minutes or until smooth and creamy. Refrigerate for two hours to thicken. 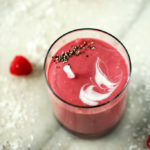 Add the strawberries and medjool dates to a high-powered blender. Transfer mixture to a bowl, and stir in chia seeds. In 4 small glasses or jars, layer the peanut butter chia pudding and strawberry chia jelly, one after the other. *If you don't have a high-powered blender, I recommend soaking the dates in warm water for 1 hour before blending. *To make this nut-free, substitute sunflower seed butter for the peanut butter and use a nut-free milk alternative (e.g., rice, hemp, etc). 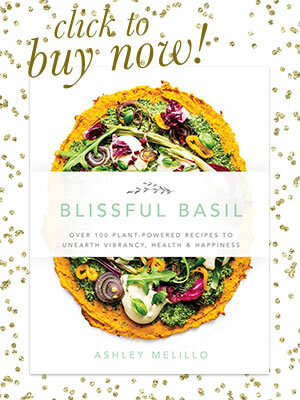 *To make this paleo, substitute sunflower seed butter for the peanut butter. Ummm definitely making this. Looks amazing!!! Thanks so much, Lauren! 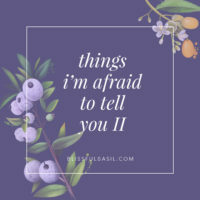 I hope you enjoy it!! 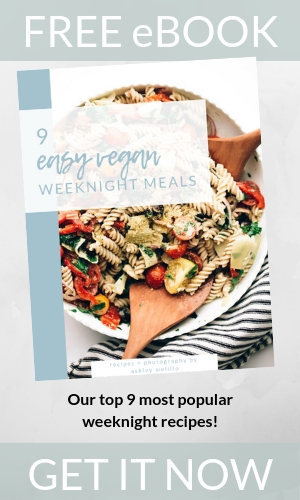 The only thing I am a bit worried about right now is the amount of chia seeds that goes into this.. Did you know we are only supposed to eat 1 tbsp chia seeds per day at the most? (at least that is what is recommended in Germany) I don’t know if it can cause any harm to eat too many of those..? Hi, Nadine! I’m so glad you’re giving the recipe a try, and thanks for reaching out with your question! 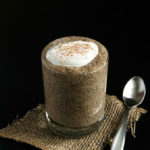 I’ve never heard that chia seeds should be limited to 1 tbsp per day. I’ve read that the recommended daily serving for adults is 1 ounce or about 3 tbsp, but I’ve never seen anything that suggests an adverse effect if a person consumes more than that amount. I can tell you that I’ve personally eaten 1/4 cup or more chia seeds in a day before (in chia pudding like this one), but I don’t tend to eat them every day or regularly in that amount. That being said, each of us is so different so I tend to slowly introduce things into my diet to see how my body responds. 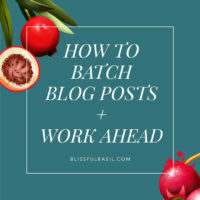 Each serving of this recipe has 3 1/2 tbsp, so it is right around that 1 ounce mark. 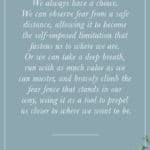 However, only you (and perhaps a dietitian or doctor) know what’s best for you, so I would listen to your body and gut on this one. You can always divide it up into smaller servings (maybe 6). I hope this helps! I usually just mix the nut butter and fruit right in but you went ahead and made it insanely pretty and irresistible! YUM!! Pretty interpretation of the P&B favorite! Look forward to trying this. Can this be made if you dont have dates? What would you substitute? Raisins? Hi, Alysha! You can substitute more maple syrup in place of the dates (I’d go based on taste—maybe 3 additional tablespoons in place of the 5 dates). Enjoy!